I'm graphic designer from Ukraine. 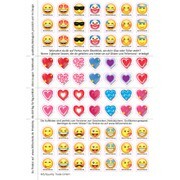 "Sasha, has designed a very stylish sticker sheet in A4 freeform at a fair price. The stickers are attached as merchandising items. The coordination was very reliable and fast. Final adaptations were well done. Upload problems at the print shop order ac..."